Please leave me some feedback! Thank you for your support! This one page freebie includes nine addition problems (sums to 10). Students should solve the equations and write the sums in the boxes. 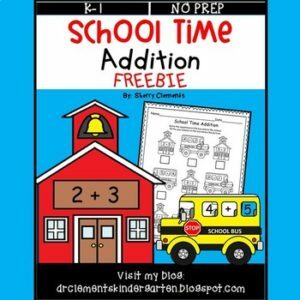 This FREEBIE makes a great TICKET OUT THE DOOR or quick assessment.